Part 1 of this excerpt from Bridging the Gap from Rehab to Performance began an exploration of the first segments of an organizational system to care for patients/clients from table to field: Pain Generator, Motion Segment, Psychomotor Control, Somatosensory Control. Part 2 moves from the clinical to the functional and performance related segments. Does each muscle have the basic foundational strength to carry out the task we are asking it to do? Does each muscle have the ability to fire, against gravity, with resistance? If not, we have some basic strength training work to do. We cannot build power—the forceful application of strength—without first building baseline strength. In this stage, we need to reestablish fundamental strength and ultimately power. Deploying foundational corrective exercises for strength will work well during this phase. Correctives derived from FMS, SFMA, PRI, MAT and strength and conditioning training are used to produce the strength to prepare for more powerful movements. When introducing power, it does not matter whether this is from a kettlebell, Olympic lifting or another approach. Use whatever you think will work best for a client, given the medical history, sports background, training age and performance needs. During the fundamental advancement phase, we study how to display foundational strength—fundamental performance—as an expression of power, and apply this power to general athletic movement. This is the phase where we introduce power production and focus on linear movement, multi-directional movement, jumping and landing. For example, an athlete must be able to achieve the fundamental positions needed for acceleration before we program sprints. Athletes need to be able to manage the forces created during the acceleration and then be able to safely decelerate to avoid injury. During this progression of bridging the gap, a recovering athlete must relearn proper backpedaling, shuffling, jumping, landing and basic footwork techniques before returning to full practices and games. [iii] These fundamental athletic skills are required in every athlete, in different combinations, and at various loads and speeds. This is the time to rebuild the foundation of athletic movement. The primary goal at this point is to retrain universal athletic movements and power creation and management. This is when we use the skills from the strength and conditioning models. It is up to you whether you follow principles employed by EXOS, Michael Boyle, Dan John, standard CSCS formulas or any other approach. Attention to your individual client’s needs based on the medical history, the sport and your experience will serve your client well. Once we get to performance, the unique requirements of each sport and the different positions start to come into play. For example, whether a football player is a wide receiver or an offensive lineman, both athletes need to run, but an offensive lineman most likely needs acceleration mechanics more than absolute speed mechanics. 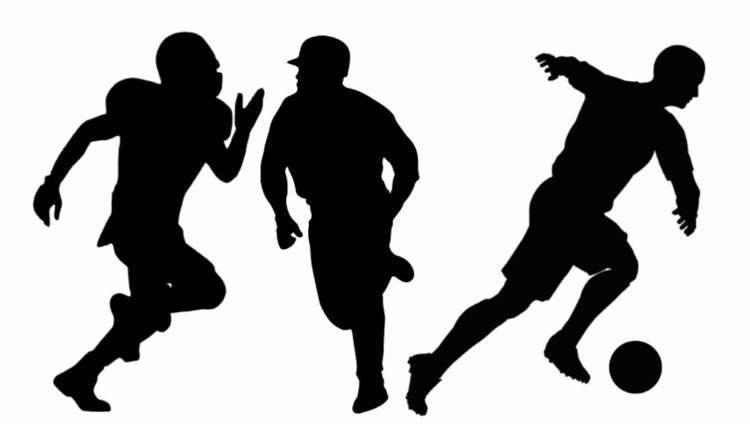 Consider a baseball and a soccer player: The former needs to run around the bases and to various fielding positions while paying attention to where a ball is as it flies through the air, while the latter must run down and across the pitch with a ball at foot, avoiding opponents along the way. Although these athletes share fundamental athletic movements, each sport and each position within a sport have different needs from a movement perspective, and we address those needs in a slightly different way. Are we offering something to the athlete that is diagnosis-specific, diagnosis-inclusive or client-specific? Our treatments in the pain generator and motion segments are typically based on the diagnosis—these are diagnosis-specific. In the early rehab phase, it is important to know whether we are dealing with a bursitis or tendonitis, and it matters how that pain generator is affecting the entire limb or motion segment. As we move forward through rehabilitation, the interventions become diagnosis-inclusive. This means that most likely, we prescribe some form of “core stability” work to everyone in the facility—however we choose to define core stability. The 60-year-old golfer gets a set of core stability exercises, as does the 14-year-old high school football player and the 24-year-old professional athlete. [iv] These are different age populations with different performance goals and, probably, different diagnoses, but they all need some type of “core stability” to improve the conditions. This performance phase aims to return the client to the sport, with position-specific functions needed for that sport and position. As with the rehabilitation interventions, it does not matter which performance model you choose. These are your personal preferences and prerogative as a practitioner or coach. Be sure to include skills coaches in this segment, as it is essential to enable the client to meet the unique technical demands of the sport and position. You can also apply movement analysis to ensure the client has regained full capacity in each of the main movement patterns needed to retake the field. This is one of the most difficult concepts to present. There is no single defining point where an athlete is doing rehab and then making the transition to performance training. Our athletes may be rehabbing an upper-extremity injury, and at the same time be performing lower-body performance training to minimize atrophy and maintain the ability to produce power in the legs while still protecting the injury. Although the bridging-the-gap model seems like a continuum, it is actually more of a checklist. Your athletes do not need to pass one stage before moving to the next. These elements do not have to happen in a certain order, with the exception of addressing the pain generator, if there is one. Pain will affect all aspects of the biopsychosocial model, and needs to be dealt with immediately. With that exception, everything else may be worked on at any point in the process of returning to play, but these all need to be addressed at some point prior to returning an injured athlete to the field. However, there are plenty of athletes playing while in pain. While the bridging-the-gap model acknowledges that pain should be dealt with immediately, this idealistic suggestion may not be a realistic expression of what occurs every day in sport. People participate while they are in pain—they do it all the time. Hence, this model is not a true continuum, but more of an ideal, theoretical progression that recognizes the need for flexibility toward a given athlete at a given time. The first four categories of Pain Generator, Motion Segment, Psychomotor Control and Somatosensory Control live under the medical model. 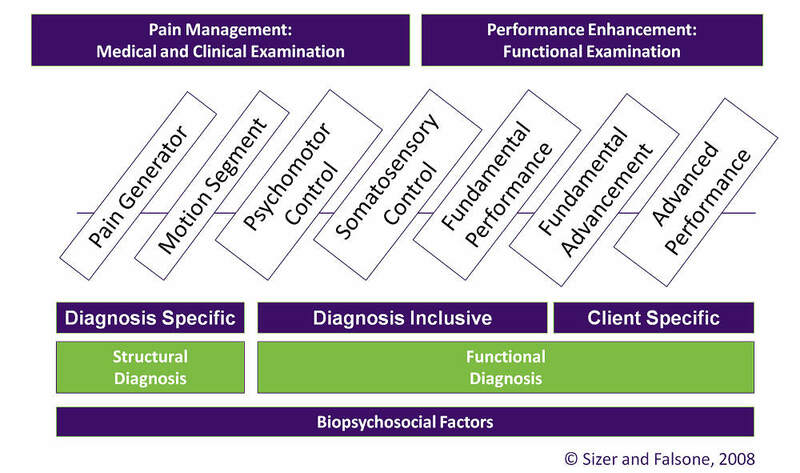 We typically address these areas under the supervision of a health care provider with a focus on improving pain, normalizing a system and preparing for the higher-level activities of the performance model. These four areas deal with the fundamental building blocks of performance. Somatosensory Control, Fundamental Performance, Fundamental Advancement, and Advanced Performance are part of the performance model. These typically build and fine-tune an athletic body after laying the foundation. The overlap of the two models comes from the nervous systems. Somatosensory control—the afferent nervous system—is the underlying key to everything. It will be difficult to build total-body strength and power, athletic movement and athletic skill in a person who is in pain, lacks proper mobility and stability and has poor body control. Athletes always want to be in the performance model. Athletes will come to you with goals such as “I want to improve my first-step quickness,” yet have horrible hip mobility and cannot get into the fundamental athletic positions needed to improve first-step quickness. Restoring the motion segment might be necessary in the immediate stages of intervention. Once the motion segment is improved, first-step quickness improves because you have addressed the weakest link in the system. Philosophies and techniques that are more on the medical model side of the continuum improve the performance model without doing anything related to performance. Think of the medical model as the foundation for a new house, and the performance model as the actual house to be built upon that foundation. 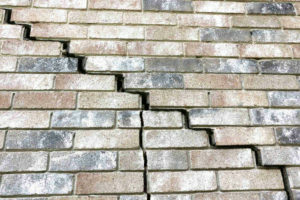 Can you build a house on a bad foundation? Of course you can. However, you will be limited as to how many stories the house can have, how big the house can be, and how long the house will be able to withstand the elements. You can build a house on a bad foundation, but it is not advisable. Likewise, building performance on an injured, broken system is possible, but it is not advisable. People in our fields often work without a plan. Could you imagine getting on a flight and having the pilot not follow the preflight checklist and executing the flight plan? Alternatively, imagine trying to build a house without plans. Plans direct us where to go. They force us to go through the systematic processes to ensure we do not skip a fundamental step that may be nearly impossible to fix later. Creating long-term goals with short-term goals to be met along the way will ensure that you give your client ample time to adapt, and these allow everyone to see the roadmap they will be traveling along. If anything veers off course, the end result will change. Let us use a soccer player returning to the field after a knee injury, whom we would like to have back on the field in a game in three months. We need to look at the schedule and see if there is time to set up a simulated game or a friendly game that may not have much at stake. We aim for some type of lower-intensity, full game activity one week prior to the athlete’s real return to see how well the action of a simulated game is tolerated. Once we determine the day, we know to plan short games first, playing with a full team of 11 on each side, but with a shortened field so there is less running. We might want that to happen one or two weeks prior to a full pitch, simulated game. Prior to that, we could schedule a game with shorter distances on the pitch, with fewer players on the field to focus more on offensive or defensive plays. We want that to happen a week prior to playing with a full team on each side. Prior to this, we would plan offensive or defensive drills with some light contact, and before that, drills without the possibility of contact. Earlier, we would have used drills that do not require critical thinking—just movement execution—and before that, we would use multi-directional movement skills specific to soccer, while using a ball. Before that, the athlete needs multi-directional movement skills specific to soccer, but without a ball. Prior to that, we would plan linear movement, with and without a ball. Before performing linear movement, we need to see full strength and the ability to develop power. To do this, athlete needs full mobility and stability throughout the motion segment, with good psychomotor control and somatosensory control. Prior to all of this, our athlete needs to be free of pain. By the time you work backward through that entire scenario, giving the athlete plenty of time to adapt to the new stresses, you may find that three months is not enough time to return the person to play. If you were to attempt it, the progressions would have to be extremely aggressive and there is no room for issues in the process. If there is an increase in pain or swelling at any point, you would need to take a step backward, and the long-term goal of returning to the field would be delayed. Reaching your short-term goals will culminate in achieving your long-term goal. You cannot achieve long-term goals without covering the short-term goals along the way. From a clinical standpoint, we have to make our findings and explanation of dysfunctions meaningful. When we are evaluating a patient and decide we see a weak glute medius . . . truly, who cares? Why should anyone care that the glute med is weak? Well, a weak glute med will result in poor hip mechanics, possibly resulting in synergistic dominance of the TFL and decreased power production at the hip, overloading the lumbar spine or knee. Once we relate the objective dysfunction to a functional limitation, we can create a goal: improve glute med strength. Once we have a goal, we can create a plan. The plan should include glute med strengthening exercises. Every objective dysfunction should have a functional limitation along with a short-term or long-term goal, with a plan to achieve the goal. To be sure, I always tie an objective dysfunction with meaningful information (I include this in the chart found in Appendix Two of Bridging the Gap from Rehab to Performance.) This keeps me honest in making sure every objective finding has a plan for improvement, as well as making sure every dysfunction is attached to a meaningful functional impairment. Don’t identify dysfunction for the sake of identifying dysfunction. What does the dysfunction mean? How does it affect the patient’s life, and how are you going to fix it? Create a Plan to Fix It. Create realistic timelines for your athletes to adapt to the new stresses you are introducing, and build in some recovery days to allow for rest. Work backward from the long-term goal to give you, the athlete and the coach a realistic timeline for return to play. Bridging the gap from rehab to performance does not follow a linear continuum. 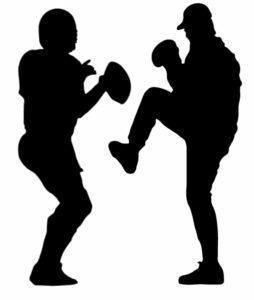 If we wait for all football players to have perfect fundamental performance and somatosensory control, we would all be staring at a blank television on Sundays. Nor are the sports medicine and sports-performance elements of athletic rehab going to be perfect progressions. We might be working in several of these phases at the same time and might have to regress certain exercises to ensure quality movement patterns. [vi] The organization of the bridging-the-gap model should help you and your team understand where each intervention fits, and that this will not necessarily be a linear progression. It is your job to figure out the best way to combine your education in the most effective and efficient ways possible to get your athletes back onto the field. 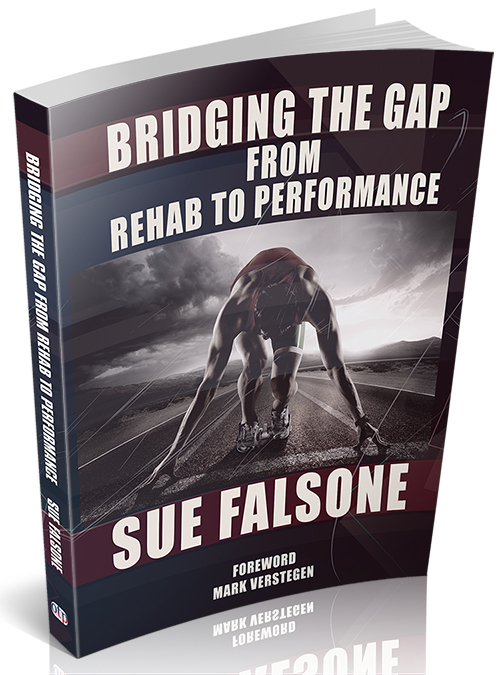 I hope the material presented in Bridging the Gap from Rehab to Performance will help you do exactly that. That is the beauty of this system. You do not have to choose one person to follow or need to follow a specific system. If it had been proven that just one system worked, we would all be doing it. Everything fits. Everything has its place. Your choice in each instance is dependent upon the individual athlete in your care. [i] K. E. Wilk et al, “Rehabilitation of the Overhead Athlete’s Elbow,” Sports Health, September 2012. [ii] Kendall F, McCreary, E. Muscles, 5th edition, Baltimore, MD, Lippincott Williams & Wilkins, 2005. [iii] Robert C. Manske, Postsurgical Orthopedic Sports Rehabilitation: Knee and Shoulder, 171-173. [iv] Thomas Haugen et al, “Effects of Core-Stability Training on Performance and Injuries in Competitive Athletes,” Sport Science, 2016. [v] Gregory D, Myer et al, “Rehabilitation After Anterior Cruciate Ligament Reconstruction: Criteria-Based Progression Through the Return-to-Sport Phase,” Journal of Orthopedic and Sports Physical Therapy, 2006. [vi] Sheri Walters, “When to Progress, When to Regress,” Perform Better, available online at http://www.performbetter.com/webapp/wcs/stores/servlet/PBOnePieceView?storeId=10151andcatalogId=10751andpagename=550.